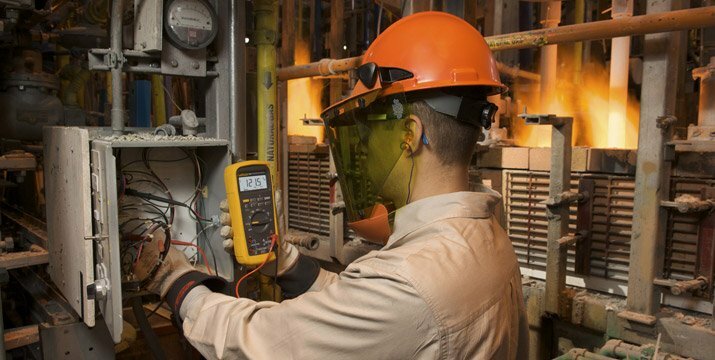 Fluke meters are engineered to perform in unpredictable real-world conditions. 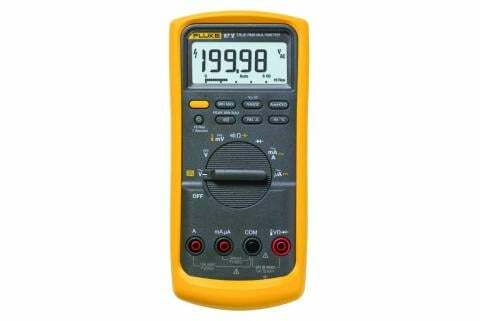 Appropriate CAT ratings: Dependable digital multimeters include a CAT rating—a category and voltage rating issued by the Switzerland-based International Electrotechnical Commission. The IEC establishes international safety and quality standards for electronic products. 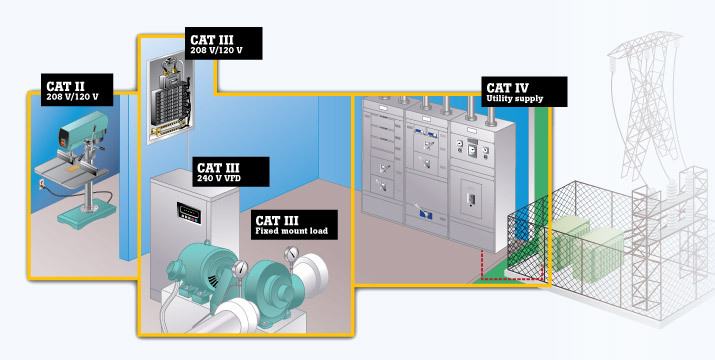 For electrical measurement products, a CAT rating indicates the meter's input circuitry has been designed to withstand voltage transients commonly found in one of three electrical environments without harming the user. (See diagram below.) If, for instance, you need to make measurements in an electrical panel with 480 V, you'll need a meter rated CAT III-600 V or CAT III-1000 V. The test leads you use with the meter should have an equal or greater CAT rating. A multimeter's CAT rating is usually displayed near its input jacks. 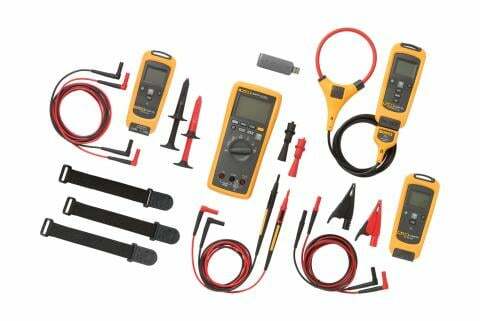 Multimeters that are not CAT-rated should never be used in high-energy, three-phase electrical work environments. Always make certain your test tool category rating matches how you are using it, even if that means regularly switching meters. Or, invest in a CAT IV-rated meter and use it exclusively, eliminating the need to question the CAT level of each measurement. CAT IV Three-phase at utility connection, any outdoor mains conductors. Limited only by the utility transformer feeding the circuit. >> 50 kA short circuit current. The "origin of installation" - where low-voltage connection (service entrance cables) is made to utility power. Electricity meters, primary overcurrent protection equipment. Outside and service entrance, service drop from pole to building, run between meter and panel. Overhead line to detached building, underground line to well pump. CAT III Three-phase distribution, including single-phase commercial lighting. < 50 kA short circuit current. Equipment in fixed installations, such as switchgear and polyphase motors. Bus and feeder in industrial plants. Feeders and short branch circuits, devices fed directly from distribution panel devices. Lighting systems in larger buildings. Appliance outlets with short connections to service entrance. CAT II Single-phase receptacle connected loads. < 10 kA short circuit current. Appliance, portable tools, and other household and similar loads. Outlet and long branch circuits. Outlets at more than 10 meters (30 feet) from CAT III source. Outlets at more than 20 meters (60 feet) from CAT IV source. Independent verification: While the IEC develops and proposes standards, it is not a regulatory agency and does not enforce standards. It is wise, therefore, to look for the symbol and listing number of an independent testing lab such as Underwriters Laboratories (UL), Canadian Standards Association (CSA Group), and Germany's TÜV Rheinland or VDE. Their symbols can only be used if the product successfully completed testing according to the agency's standard, which is based on national/international standards. What does the symbol indicate? A product is marked CE (Conformité Européenne) to show it conforms to health, safety, environment and consumer protection requirements established by the European Commission. Products from outside the European Union cannot be sold there unless they comply with applicable directives. But manufacturers are permitted to self-certify that they have met the standards, issue their own Declaration of Conformity, and mark the product "CE." Thus the CE mark is not a guarantee of independent testing, and a phrase such as "Designed to meet specifications" is not a guarantee that the item has been objectively tested to verify that claim. Safety-rated fuses: Specially designed high-energy fuses dissipate stray voltage before it can pass through a meter and reach you. They are designed to blow in an extremely short space of time to keep you, the user, out of harm's way. It is unwise to replace them with inferior fuses, and never disable a fuse while on a job. Doing so would risk hand injury or potentially worse. Use only high-energy fuses approved by the meter's manufacturer. Component spacing: Proper safety design in a digital multimeter begins deep inside each tool. Adequate spacing between internal components provides a measurable margin of safety, but can be tough to validate. Look for an approval sticker issued by an independent, third-party testing laboratory. The lab has disassembled that model and stakes its reputation on the belief that the meter is as safe as its manufacturer claims. Best value ? lowest cost: Makers of some inexpensive meters may exaggerate safety ratings in an effort to win sales. Risking a meter meltdown in order to save money is one of those moments of regret best avoided by making a quality-minded choice at the beginning. Resistance to water and dust: Standards for water and dust resistance are established by the IEC. A product's level of resistance is assigned an IP code, which can stand for International Protection Rating or Ingress Protection Rating. The IP rating is a good indication of the robustness of a product. An IP code includes two digits. As defined by the standard IEC 60529, those numbers classify the level of protection engineered into the product against the intrusion of solids (first number) and liquids (second number). 0 - No protection against contact and ingress of objects. 1 >50 mm Any large surface of the body, such as the back of the hand, by no protection against deliberate contact with a body part. 2 >12.5 mm Fingers or similar objects. 5 Dust protected Ingress of dust is not entirely prevented, but it must not enter in sufficient quantity to interfere with the satisfactory operation of the equipment; complete protection against contact. 6 Dust tight No ingress of dust; complete protection against contact. 4 Spashing water Water splashing against the enclosure from any direction shall have no harmful effect. 5 Water jets Water projected by a nozzle (6.3 mm) against enclosure from any direction shall have no harmful effect. 6 Powerful water jets Water projected in powerful jets (12.5 mm) against enclosure from any direction shall have no harmful effect. 8 Immersion beyond 1 m The equipment is suitable for continuous immersion in water under conditions which shall be specified by the manufacture. Normally, this will mean that the equipment is hermetically sealed. However, with certain types of equipment, it can mean that water can enter but only in such a manner that it produces no harmful effects. Example: the Fluke 28 II digital multimeter carries a rating of IP67. It has been tested to be dustproof and to withstand immersion in water to a depth of one meter for 30 minutes. Without independent certification, a manufacturer's claim that a tool is "designed to meet" a water and dust resistance standard is no guarantee. Durability: Safety standard (IEC 61010) specifies that electrical equipment must survive a one-meter drop at both its highest and lowest specified operating temperatures. Look for a solid, built-to-last instrument that is free of obvious defects: rattles, poor workmanship, cheap materials. Never use a product that has a cracked or damaged enclosure. Drop the packaged product, on all faces and corners, from 1 meter onto a hardwood floor. Repeat the 1-meter drop test using an unpackaged unit at operating temperature extremes of -4° F (-20° C) to 131° F (55° C). Subject the unit to vibration, up to 30 Gs, for 30 minutes on three perpendicular axes. Bombard the unit with electromagnetic fields and radio frequency emissions per IEC 61326-1 in an attempt to get readings to change. Flex the inboard end of the leads, and test the terminals for 25,000 insertion cycles. Run the product at temperatures from -40° F (-40° C) to 140° F (60° C) to gauge if the readings go out of spec. Add humidity, up to 92% at up to 104° F (40° C), and repeat the tests. Apply peak transients of 8 kV to 15 kV on the input circuits. Wrap the unit in foil and subject it to dielectric withstand voltages of up to 12 kVac. Push 30 kVA into the front end to make sure no failures are found in the instrument circuits. When the test team can no longer get a unit to fail, it can be released to production. 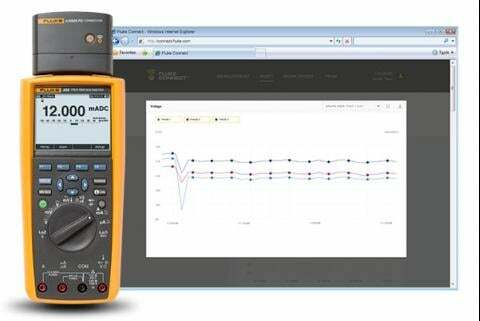 The goal: to ensure a Fluke digital multimeter can repeatedly withstand the most demanding real-world conditions.